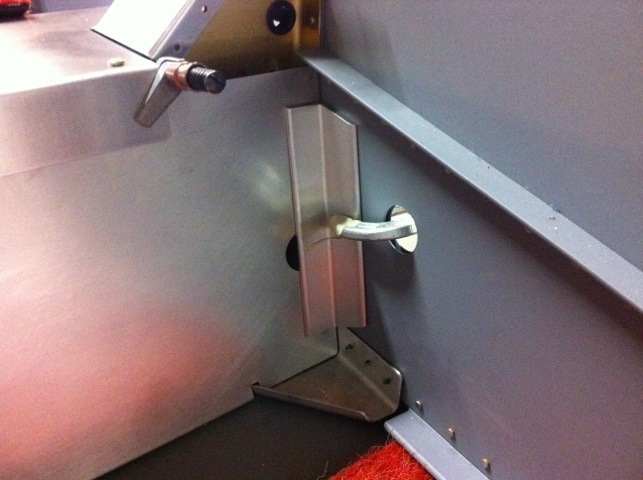 The last two weeks have been dedicated to fabricating and finishing all the cabin parts. I had planned in priming today but the weather wasn’t cooperating. No biggie though as there is still lots of parts I can prep ahead of priming. The seats are drilled to final size. The forward seat covers are drilled and prepped. 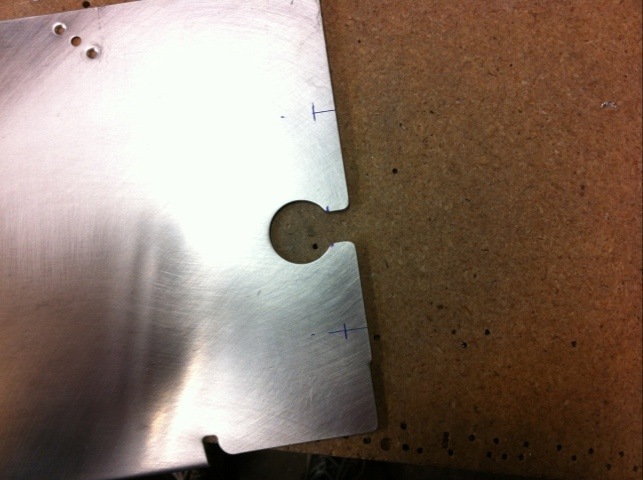 The front spar covers are done including the PITA angles that get drilled to the outboard doublers (pics attached). The center tunnel cover between the seats is drilled and waiting to be primed and riveted. 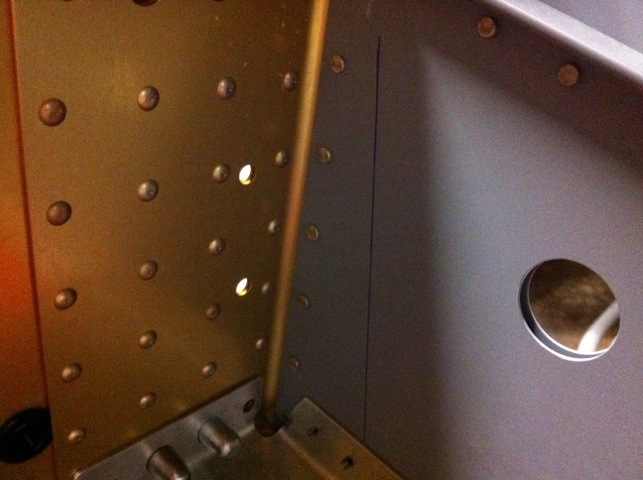 The flap motor attach channels are mostly fabricated; a few holes are left to drill. Starting to drill the Center floor cover and heat baffle. To drill the angles that the outboard cover attaches, I clamped some scrap angle to create a reference line. Be sure to use some scrap wood on other side of clamp or risk a dented skin. With the reference line established you can drill the angle in assembly. The plans give you the upper and lower marks and a mid line drawn on the angle provides the vertical reference. 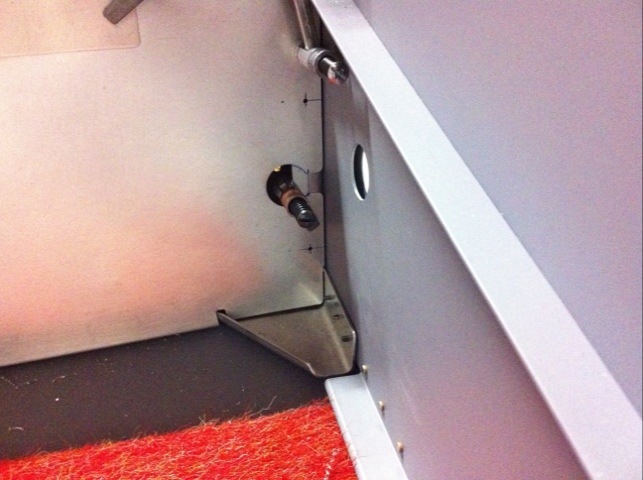 Drill the cover and angle to #40 in assembly. 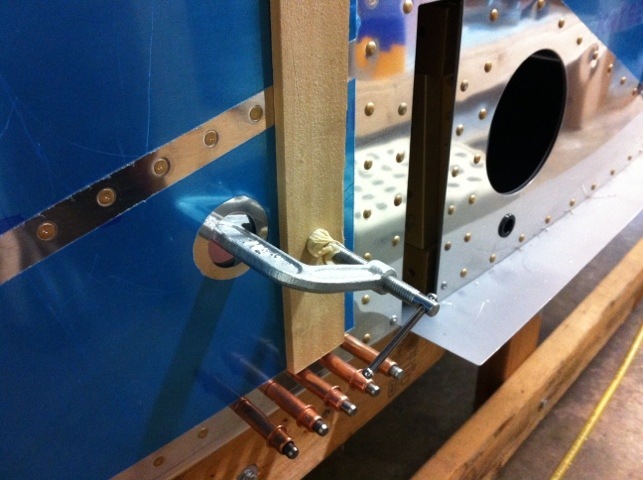 Then remove from fuselage to expand to #19 and drill the angle for the nutplates. This entry was posted on May 21, 2012 at 3:07 am and is filed under Cabin, Fuse. You can follow any responses to this entry through the RSS 2.0 feed. You can leave a response, or trackback from your own site.